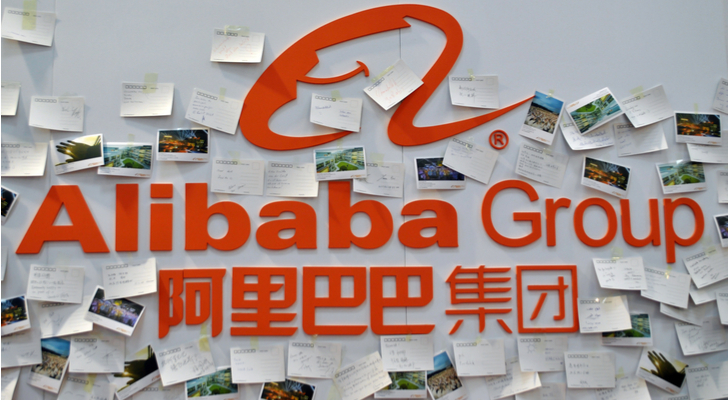 Alibaba Group Holding (NASDAQ:BABA) is the first battlefield stock of 2019. BABA stock is expected to report earnings of $1.67 per share on revenue of $17.3 billion, with a “whisper” number of $1.73. It may miss those numbers as management holds off on some hiring and cuts expenses. But that’s beside the point. The real fear embedded in Alibaba’s earnings report is that the Chinese economy is slowing. Never mind that Alibaba’s Canadian-born president, Michael Evans, is citing “natural causes” for the slowdown. A consumer-driven economy doesn’t grow like a manufacturing-based one. Alibaba’s aggressive moves against a slowdown have put the entire global growth story in question, and follows a November announcement reducing Alibaba’s revenue forecast. But if you only look at China when looking at Alibaba stock, you’re missing the point of why you should buy it. There are said to be three levels to cloud development — selling cloud Infrastructure as a Service (IaaS), selling the cloud Platform as a Service (PaaS) so customers can build applications, and Software as a Service (SaaS), the highest value of all, where you sell access to software written to run on the platform. But there’s a higher level to cloud. You might call it Cloud 2.0. This starts with artificial intelligence (AI) services like Amazon.Com’s (NASDAQ:AMZN) Alexa. But Alexa is just a voice interface. What Alibaba is working on are automated AI applications that control the real world without human intervention of any kind. China is the perfect breeding ground for such applications, because you don’t get pushback from “privacy” advocates or fears of government control. China’s government wants control. Alibaba owns many of the cloud services it sells. It is not dependent on an ecosystem of partners, as Microsoft (NASDAQ:MSFT) is. As it moves “up the stack” Alibaba becomes the prime beneficiary of its own software development. Acquisitions like OpenSky and Kabbage are meant to make businesses, and borrowers, into Alibaba customers. It’s not working with third party markets or “fintech” shops. Consider Data Artisans, the acquisition I wrote about last week. Alibaba is acquiring an open source platform to build unique services it can sell, not for an ecosystem. What can a cloud platform do with its own software and full control over its implementation? Consider what Alibaba’s “City Brain” system has already done in Hangzhou, its hometown, cutting traffic congestion. Then apply this technology to other types of infrastructure, like water and emergency services. Alibaba can ignore concerns about privacy and antitrust that would prevent American rivals from perfecting these technologies. It’s an enormous business advantage. Call it Cloud 3.0. Alibaba’s revenue numbers are driven by China, just as those of Amazon are driven by the U.S. But its profits are driven by cloud, and unlike Amazon we’re talking about cloud software systems controlled by the company, not by partners or some vague ecosystem. The percentage of revenue Alibaba derives from its cloud should double over the next three years, to about 15%. It’s about 8% at Amazon. As that revenue ramps up, moreover, it should be increasingly profitable, based on applications Alibaba has written and owns. Even as China slows down, it’s still growing faster than any other major economy, giving Alibaba a solid base on which to build. Alibaba faces none of the antitrust complaints in its market that Amazon faces in the U.S.
Alibaba should have revenue of $55.7 billion when it reports its full-year results after March, and about $76 billion in 2020. You’re paying 7.4 times that 2019 revenue at Alibaba’s current market cap of $400 billion. After earning it will likely be even cheaper. That’s probably the best time to pounce on it. Let the analysts worry about China. You keep your eye on the cloud. Dana Blankenhorn is a financial and technology journalist. He is the author of a new mystery thriller, The Reluctant Detective Finds Her Family, available now at the Amazon Kindle store. Write him at [email protected] or follow him on Twitter at @danablankenhorn. As of this writing he owned shares in BABA, MSFT and AMZN. Article printed from InvestorPlace Media, https://investorplace.com/2019/01/with-alibaba-stock-forget-china-and-focus-on-the-cloud/.